This Studio is 65 square meters. Gr. Fl. , 2 double bedroom, 2 bathroom with shower. Living room (satellite TV) with double divan bed and cupboard kitchen, Private equipped outdoor area. The landscape is hilly and includes lots of Mediterranean vegetation. It lies just a few kilometers from the sea and the "Gulf of Follonica". About 5 km away you will find the medieval castle of Massa Marittima. The property has been divided into three studios, two apartments and a large villa, spread over three buildings. 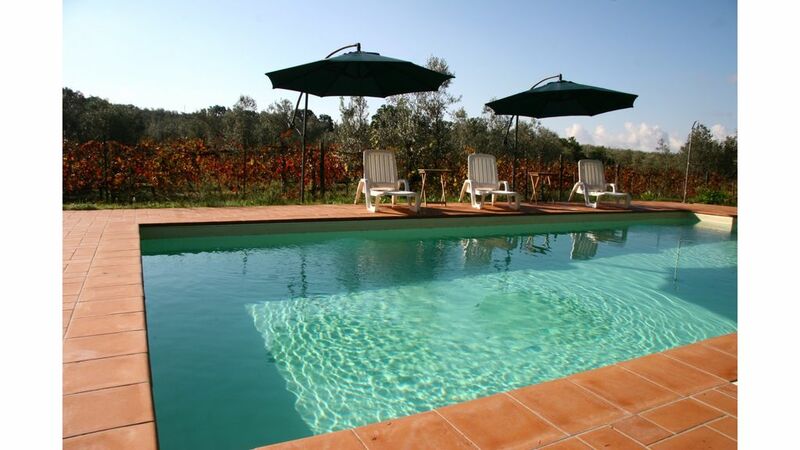 The farm, with an area of ​​10 hectares, is called the High Maremma. The bay of Follonica, with the beautiful sandy beaches of Cala Violina and Punta Ala, is just minutes away. The large pool (6 x 12 m) is located in the middle of a wonderful pine forest.